A month after the 2018 Mazda CX-9 earned a five-star safety rating from the National Highway Traffic Safety Administration, its compact cousin has also received recognition, this time from the Insurance Institute for Highway Safety. When equipped with the Adaptive Front-Lighting System, the 2018 Mazda CX-5 earned a 2018 Top Safety Pick+ rating. As of now, the 2018 CX-5 is the only small SUV that was named a 2018 IIHS TSP+ recipient. Without the Adaptive Front-Lighting System, the small SUV earned a Top Safety Pick rating. Qualifying as a 2018 Top Safety Pick+ is no easy feat. The vehicle must earn good ratings in the head restraint, side, roof strength, driver-side small overlap front, and moderate overlap front tests. For the passenger-side small overlap front test, it must earn an acceptable or good rating, while it earns a good headlight rating. Finally, it must earn an advanced or superior rating for front crash prevention. Equipped with Mazda’s i-ACTIVSENSE safety suite, the 2018 CX-5 Touring models come standard with full-speed Mazda Radar Cruise Control, which helps maintain distances between other vehicles in front of it using milliwave radar or a forward-facing camera. Working in conjunction with the Distance Recognition Support System, these safety features demonstrate how confidence is engineered into every Mazda. The safety technologies Mazda builds into its cars create awareness for drivers to recognize potential hazards to help avoid collisions or lessen their impact. 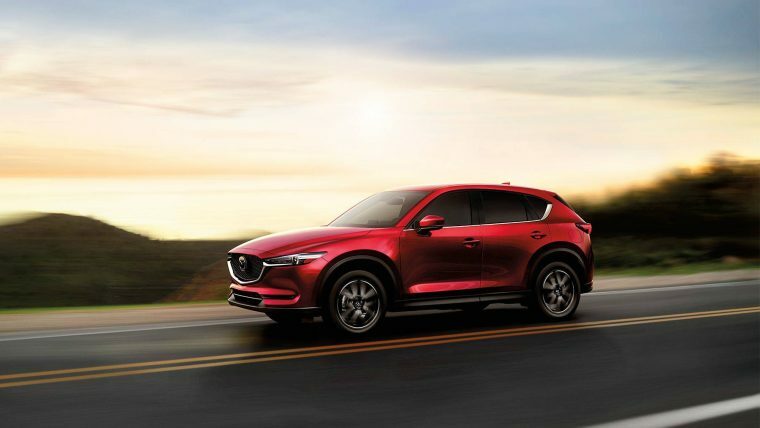 With this Top Safety Pick+ rating for the 2018 CX-5, IIHS confirms the safety and greatness behind the vehicles Mazda designs.